SEM means Search Engine Marketing, which is marketing carried out on the search engine. To appear here you must set up a Google AdWords account and pay every time someone clicks on your advertisement and therefore for each visit you get. The price varies depending on the supply and demand of the keyword that you choose. SEO means Search Engine Optimization, meaning optimizing the natural search results, also called organic results. When someone clicks here you don’t pay anything, but it is more difficult to position here. 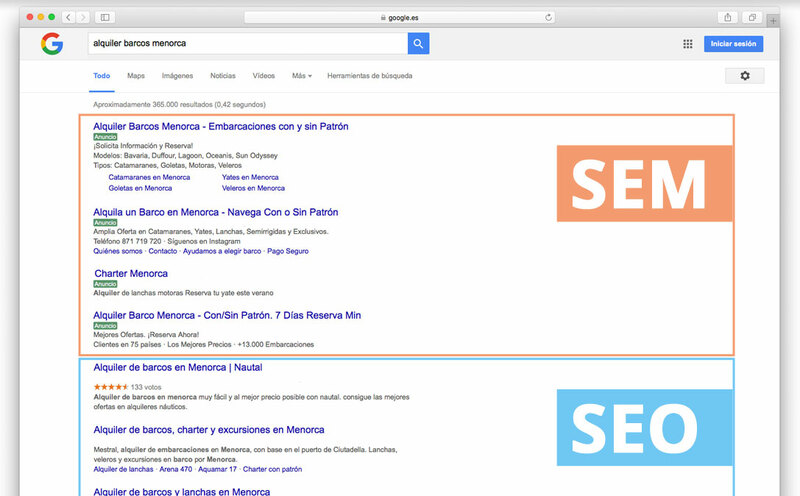 With both SEO and SEM, keywords are a very important concept. When a user searches for ‘I want to rent sailboat in Barcelona’ on Google, the keywords will be ‘Rent Sailboat Barcelona’. For example, a lot of people search for ‘Schools in Barcelona’ but we rent boats, so it wouldn’t make sense for us to try to position for that key word. On the contrary, if we rent boats and we want to position for the term ‘feel the relaxation of the marine lifestyle’ it will not be worthwhile as it is unlikely that there are a lot of people who would search for such a term. 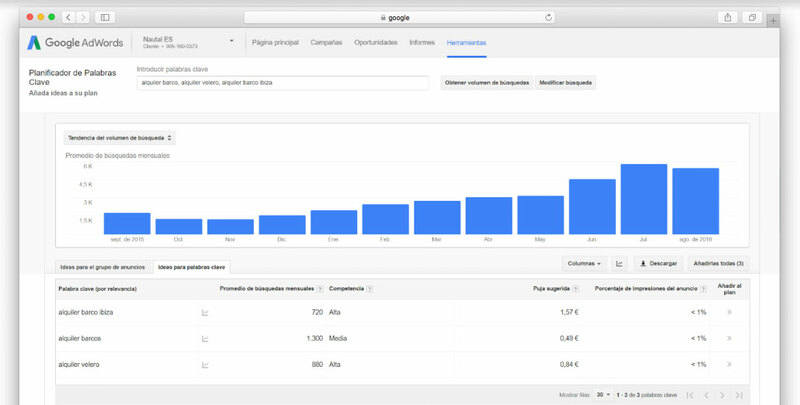 Go to your Google Adwords account and use the tool "Keyword Planner", "Search for new keywords"
The website should not include unnecessary information. Find out whether users view the website on the computers, mobiles or tablets.